Who needs a bouquet of flowers when you can have a Floral Cluster wedding cake. 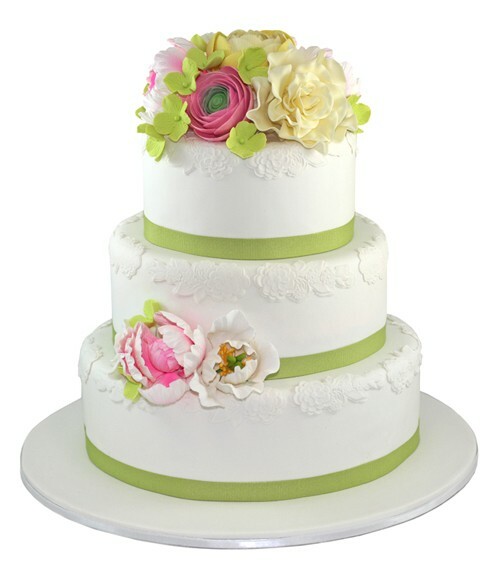 This three tier cake is hand decorated with edible Ronunculus, Roses and Green Hydrangea and floral patterning. 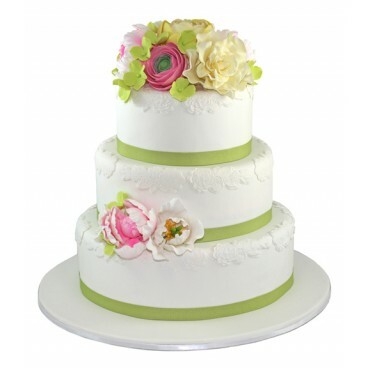 The Floral Cluster is a beautiful bouquet of a wedding cake. 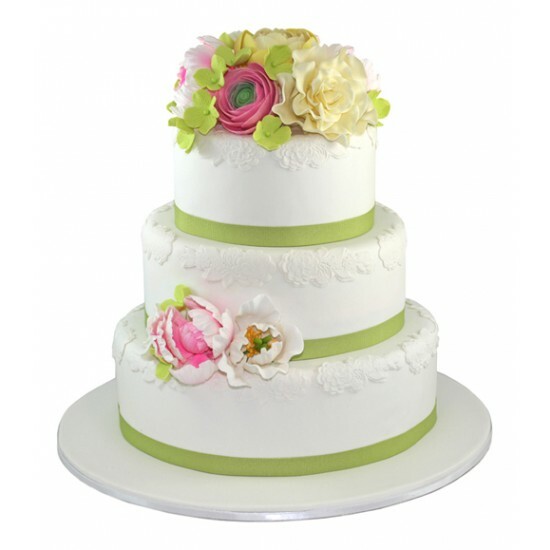 This three tier cake is hand decorated with edible Ronunculus, Roses and Green Hydrangea and floral patterning. Who needs a bouquet of flowers when you can have a Floral Cluster wedding cake! A far tastier bouquet we think!